UPDATE: After I sounded the alarm on this issue, Mayor Cassidy took the item off the agenda for the March 17th meeting. He claims that the prohibition of smoking/vaping marijuana in multi-family homes was included by mistake. He says a revised ordinance will come back for a vote in April. The revised ordinance, however, is also injurious to medical marijuana patients, as they will not be able to take their medicine safely when they’re away from their homes. The San Leandro City Council sneaked a very controversial issue into its agenda for Monday March 17th’ meeting: a total ban on marijuana smoking in multi-family housing buildings. The ban extends to widely-defined public spaces and places of employment. It would leave detached private homes as the only places in San Leandro where a patient could legally smoke marijuana. While prosecution is at the discretion of the DA, the City is able to assess fines. Enforcement of the smoking ordinance, moreover, is in the hands of the San Leandro Police Department, which does not have a good reputation for fair enforcement of the law. The code, moreover, allows for private prosecution of the anti-smoking ordinance, so anyone who has a problem with someone they know to smoke marijuana and live in multi-family housing, can use the law to harass them. The new ordinance will continue to permit smoking tobacco in multi-family housing and hotels, but would ban the use of e-cigarettes, in all public and semi-public areas where tobacco smoking is prohibited now. As troubling as the ordinance itself, is how it’s being passed. It was added to the consent calendar for the City Council’s next meeting, meaning that it’s meant to be voted on without any discussion by City Council members and without the opportunity for community members to give their input. This may still be changed, if the Mayor or a Council member moves to take the item off the consent calendar, but that is not guaranteed. Moreover, the description of the ordinance in neither the agenda nor the staff report prepared by City Attorney Richard Pio Roda, disclose the actual effect of the ordinance. The full explanation/justification for the marijuana ban in the report is as follows: “Another change is that the existing ordinance is amended to clarify that smoking marijuana is not permitted at certain “exempt” locations where smoking is allowed, such as the golf courses located within the City.” It’s only by looking at the list of “exempt locations” in the Municipal Code – not quoted in the staff report – that the reader will be able to tell that these include multi-family housing. However you look at it, this ordinance will deeply restrict the individual rights of e-cigarette users, medical marijuana patients, caretakers and property owners. To pass it without any discussion or notice to the pubic is unconscionable. I asked Mayor Cassidy to take it off the consent calendar to no avail. To express your views on this ordinance, please attend the March 17th City Council meeting at 7 PM at the San Leandro City Hall. In addition, please e-mail the City Council. – Treats e-cigarettes as regular cigarettes, and vapor as smoke. cigarette in any manner or in any form. cigar, hookah pipe, cigarette of any kind, or any other weed or plant. – MC 4-12-200 bans smoking in enclosed public places, places of employment and enclosed spaces that share an air-space (e.g. through a window or door) or a ventilation/AC/heating system with an enclosed public place or place of employment. – MC 4-12-205 bans smoking in unenclosed public places, places of employment, service/ticket/boarding/waiting areas, parks, playgrounds, athletic facilities and the sites of public events. – Continue to permit tobacco smoking in private residential units, tobacco shops and two golf courses. The language of MC 4-12-200 would make it illegal to smoke in most apartments, condos and even townhomes with a common area, including a car port. For this reason, the code (MC 4-12-210) establishes an exception for smoking in private residential units. The exception also extends to smoking in tobacco shops, up to 25% of hotel rooms and two golf courses. The exception that allows people to smoke cigarettes in their apartments or condos will explicitly exclude marijuana. – Prohibits Landlords from knowingly permitting marijuana smoking in their property. Property owners are already prohibited from allowing tobacco smoking in areas where the City prohibits smoking (MC 4-12-400). This would extend that prohibition to allowing marijuana smoking. Given that cigarette smoking is permitted in private multi-housing homes, this actually creates a new and cumbersome legal liability on landlords and property owners. For example, if an elderly relative is staying with you while undergoing cancer treatment and they use marijuana to deal with the nausea, you would have to stop them from doing it or risk being prosecuted for a crime. A landlord who finds out one of their tenants smokes marijuana, might need to evict them or call the Police on them to escape criminal liability. The ordinance does not distinguish between a patient smoking legally obtained marijuana and a person smoking marijuana recreationally. Patients will continue to be able to consume edibles that include marijuana or marijuana extract/oil. 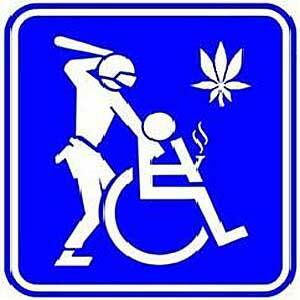 However, not all patients are able to consume marijuana in this manner.